Student loan: any idea how long it will take you to repay it? Most students will take a student loan in order to finance the increased tuition fees of up to £9K per year (from 2012/13) for their studies. Any idea how long it will take you to repay your loan? It will all depend on your career prospects. Let’s have an example. If you plan to study in London, the total costs for a 3-year degree will be £50K approx. Let’s assume that you will take a £5oK loan approx which is the maximum amount you can. a high earning career (starting salary £30k, final salary £80k), then it will take you almost 18 years to repay it. a medium earning career (starting salary £25k, final salary £50k), then in 30 years you will have repaid 95% of it. The rest will be written off. 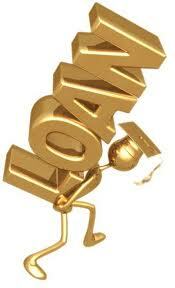 a low earning career (starting salary £19k, final salary £30K), you will only have paid 36% of your loan in 30 years. The rest will be written off. In other words, this can be considered loosely as a government subsidy. Check Student Loan Repayment Calculator from the Complete University Guide. Please read the assumptions used. The model is for illustrative purposes only. You get the message though loud and clear! Remember: every degree doesn’t provide you with the same career opportunities. Be selective. Make sure what you study will help you to get your dream job. If you are not clear yet, do more research. The bottom line: Taking a student loan is definitely a big commitment and it is important that you understand what you get into and why. This entry was posted in b4iapply to college, b4iapply to uni, Before I apply, Higher Education, Student loans, Value for money and tagged apply, before I apply, career, link education with career, student loans, tuition fees, what to study. Bookmark the permalink. 5 Responses to Student loan: any idea how long it will take you to repay it? Hello there, interesting website! would bookmark this! Keep submitting this kind of writing. Hello, Thank you for great post.